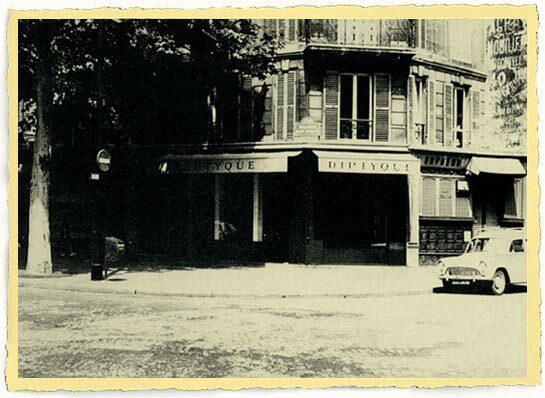 In 1961, the very first Diptyque (pronounced as deep-teech) boutique was established at 34 Boulevard Saint Germain in Paris. This boutique is a result of sweat and blood from three friends; Christiane Gautrot, Desmond Knox-Leet and Yves Coueslant. Miss Gautrot was an interior designer, Mr. Knox-Leet was a painter and Mr. Coueslant was a theatre director and stage designer. 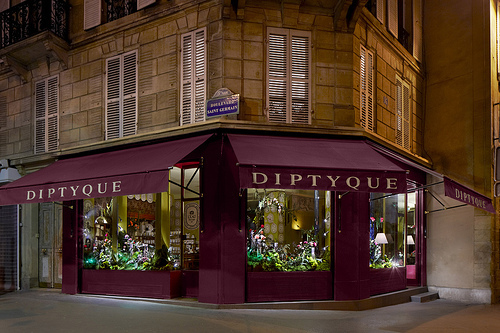 After so many years, Diptyque is still standing elegantly at 34 Boulevard Saint Germain. And the distinguished address became a trade icon for Diptyque. This is how it looks like right now. Just bring back your doll house to Diptyque Pavilion KL before 30th May 2013 and receive a RM50 voucher. On top of that, the first 30 participants will receive a deluxe size Diptyque 34 candle on the house. Let’s start with the project. All you need to do is to follow the visual guide. It is really simple. Step 2: Cut the main sections out. There should be 3 sections, the base for the back, the front view and the awnings. Step 3: Cut off the windows on the front view as suggested by the guide. Step 4: Fold the front view of the template and stick it to the base board accordingly. You will get this.. Step 5: Fold the awnings according to the lines. And glue it on the front view of your model. That’s the end of it!!! Isn’t that so simple? For something extra, I printed another piece of the front view and cut out the little parts underneath the window to make a small pocket. Then I stuff some little plant in it to embellish my 34 Boulevard model. I also sprayed the L’Eau Du Trente-Quatre EDT onto my model to make it smell nicer. The doll house really looks so romantic in my room right now. Start building your own 34 Boulevard doll house and you’ll receive the deluxe size candle to complement your doll house model!!! super nice! make a great decoration in any room!